Winter is coming. The now famous phrase. 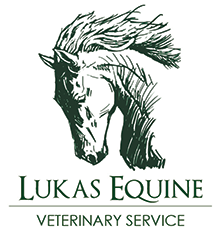 If you are a horse owner in the Chicago or Chicagoland area, this is a very crucial time of year. 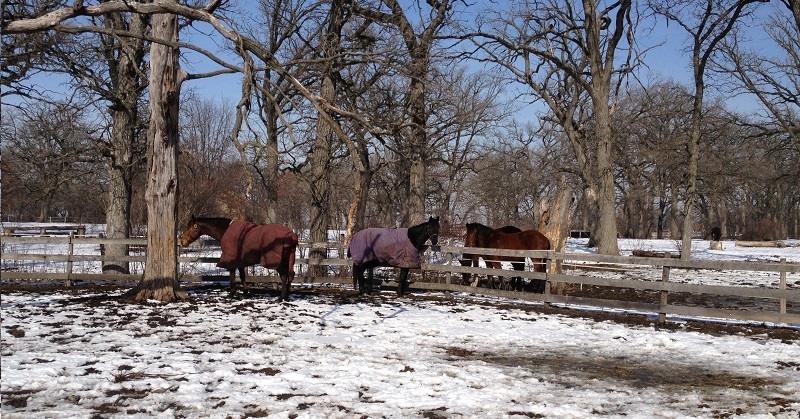 It’s important to make sure your horses are properly cared for during the cold, sometimes frigid months of winter. 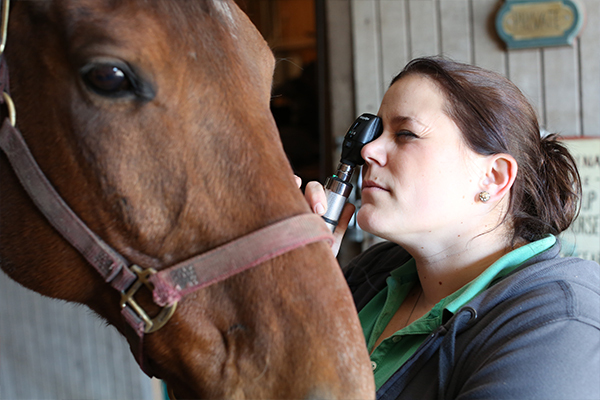 There are four tips for winter horse care you can start with. If you have any additional questions or concerns, please contact us at your earliest convenience. Be sure to warm bits prior to insertion in your horse’s mouth – it should not be cold to the touch. Bits can be warmed in your hand or a warm jacket or set in a heated room or vehicle. This depends on the horse, so speak with your veterinarian. However, as the temperatures drop, horses tend to burn more calories to stay warm. This could mean significant weight loss. If your horse is not on a restricted diet, consider increasing her hay rations as it gets colder. A winter coat can hold moisture for long periods of time, so it’s important to ensure horses are completely dry before they are put away for the day. This can be accomplished by rubbing a towel, or applying a water wicking cooler. Once your horse is dry, fluff up her hair to help insulate her coat. Your horse needs a lot of water. When the temperature drops, be sure to check several times of day to make sure your horses’ water is not frozen. There are types of heating units made for this purpose if you are unable to check that often. Ask your veterinarian for recommendations.